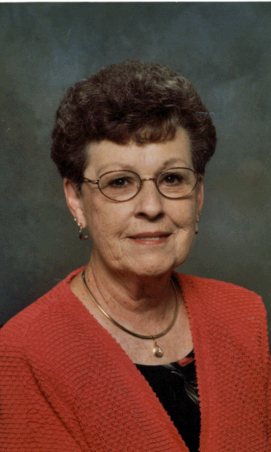 Iola "Fern" Moody Iola Fern Moody of Ankeny, Iowa, died June 8, 2018 at age 84. Fern was born July 11, 1933 to Matthew and Zella Hale on a farm near Eagleville, MO. She graduated from Ridgeway, MO high school. She was united in marriage to LeRoy Moody on July 8, 1951. Through this union were born a son, Rickey and a daughter, Deborah. In their early-married years, Fern followed LeRoy living on several Naval bases serving as stay at home mom. Following their service time, they returned briefly to Ridgeway, MO before moving to Des Moines, where she spent most of her married life. She eventually reentered the workforce and retired from the DM Postal Credit Union as Operations Manager. Fern and LeRoy loved fishing, camping and family. For years they enjoyed wintering in the South and belonging to an extended family of other snowbirds. Prior to losing her sight, she also enjoyed crocheting, playing piano and playing cards with the grandkids. Fern was strong in her faith and prayed daily for her family, all by name. Family was everything to Fern. Fern was preceeded in death by her parents, Matthew and Zella Hale; siblings, Ruby Ross Prindle, Everette Hale, Grace Wilson Boggess, LeeRoy Hale; husband LeRoy Moody and son Rick Moody. Fern is survived by her sisters, Vera Huitt Baker and Donella Hogan; sister-in-law Virginia Hale; daughter, Debbie (Mike) Whittie, daughter-in-law, Pam Moody; Grandchildren Crystal (Matt) Sheeder; Heather Moody, Dione (Tim) Waugh; Jenifer (Josh) Duey, Jason (Katie) Brown, Erin (Josh) Plank; Colin (Sami) Whittie; Great-Grandchildren Brandon, Cameron, Hunter Sheeder; Ali Jo Hogberg; Jessica, Stephanie Waugh; Aubrey, Alex Duey; Maizie, Iris, Calvin, Ruby, Zechariah Brown, Nolan and Fiona Plank. She will forever be remembered for her faith in God, loving spirit, listening ear, care and love for others. A special thank you to Fern’s extended family and friends that cared for her in recent years, to Hospice of Central Iowa and those employees at Mill-Pond that loved and cared for her. Her life was brighter because of them. Services will be held at 10am Wednesday, June 13, 2018 at Hamilton’s near Highland Memory Gardens. Visitation will be held from 6-8 pm Tuesday, June 12, 2018 at the funeral home. In lieu of flowers, we would welcome memorial contributions be made to Iowa Commission for the Blind, 524 4th Street, Des Moines, Iowa 50309, in memory of Iola.